It's not always that I get to read a book like this, by that I mean a plausible and well-told alternate history tale, written by a real scientist, no less. 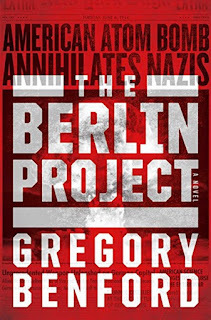 Such is Gregory Benford's The Berlin Project. Benford is both an established SF writer, best known for his Galactic Center novels, and an astrophysicist and Professor Emeritus at the University of California, Irvine, where he was a Professor of Physics, so he definitely knows of what he speaks here. Benford deftly tells a story of a world where the Manhattan Project produced a viable nuclear weapon one year earlier than in our own timeline, due to the insistence of a real-life chemist and Project participant, Karl Cohen, who proposed a vastly simpler approach to refining uranium than was actually used. In our timeline his approach - the use of centrifuges to separate out the weapons-grade material - was discarded in favor of the much slower gaseous diffusion process. That's just a taste of the novel, which contains enough real-life science for a dozen other books. It is also populated by other just as real scientific luminaries such as Edward Teller and Leo Szilard, whom Benford knew later in life, that gives The Berlin Project that added reality. Benford shows what type of world might have resulted had, in fact, the atomic bomb been available for use a year earlier than it was in our history. I won't go into spoilers here, but the title of the book and the large mushroom cloud on the front cover should provide a fairly good hint of what's in store. I will point out where there are a couple of picky examples of poor editing that mar an otherwise excellent book. One of these - and I self-identify as an aviation geek - is when the author gets certain aircraft wrong - what's more jarring is that he refers to them correctly earlier in the book and then somehow messes them up later. Similar where to he refers to in the altered history of the book first that Fermi's first reactor is set up on the east coast in New Jersey, rather in Chicago, where it was in our timeline, but later his main character states that Fermi's reactor is in Chicago. It's little slips like this - and God knows I'm guilty of them myself, trust me - that the reader notices. As I said, these things are only minor glitches in an otherwise superlative tale by excellent writer and scientist. Do I recommend the book? Of course: Alternate history doesn't get much better than this. 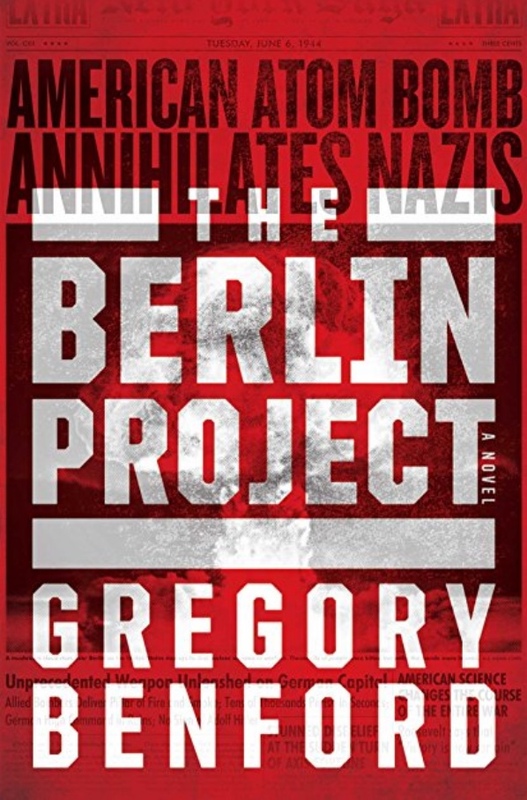 The Berlin Project is a treat to read and a feast for the imagination. I'm beginning to read Stephen Baxter's The Massacre of Mankind. I hope to have a review of it for next month, but, we'll have to see. Things have been a little busy around the old blog.